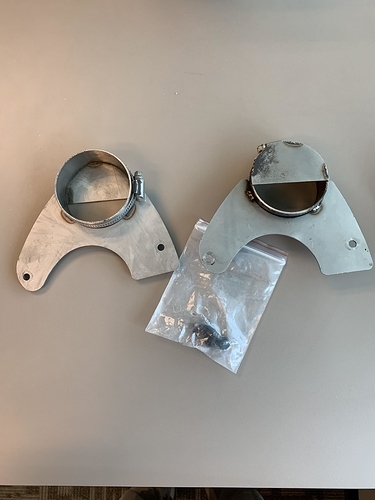 For sale 1 pair of stainless steel brake cooling backing plates and include 2 hose clamps to attach 3" diameter brake ducting. Easy installation does not require the removal of the wheel hub. I believe they are sold by Harrison Motorsports (Cool E30 Kit, Brake Duct System for BMW 3 Series, E30 Chassis - Harrison Motorsports - BMW and Mini Repair and Performance Parts Online Store). Does not include the duct or bumper adapter. Used but still in great condition, $55 shipped (ground) within the US.